Ships today if you order in the next 1 hours 52 minutes. Managing throughout the menstrual cycle and during menopause can be a challenge hormonally. Women can often use support in this area. That's why Premier Research Labs offers Fem Balance-FX, a comprehensive female support formulation. This 100% pure vegan product tests on to all 4 biofield polarities and is manufactured in an NSF-GMP registered facility. It is encapsulated in 100% solvent-free vegetable-based capsules. 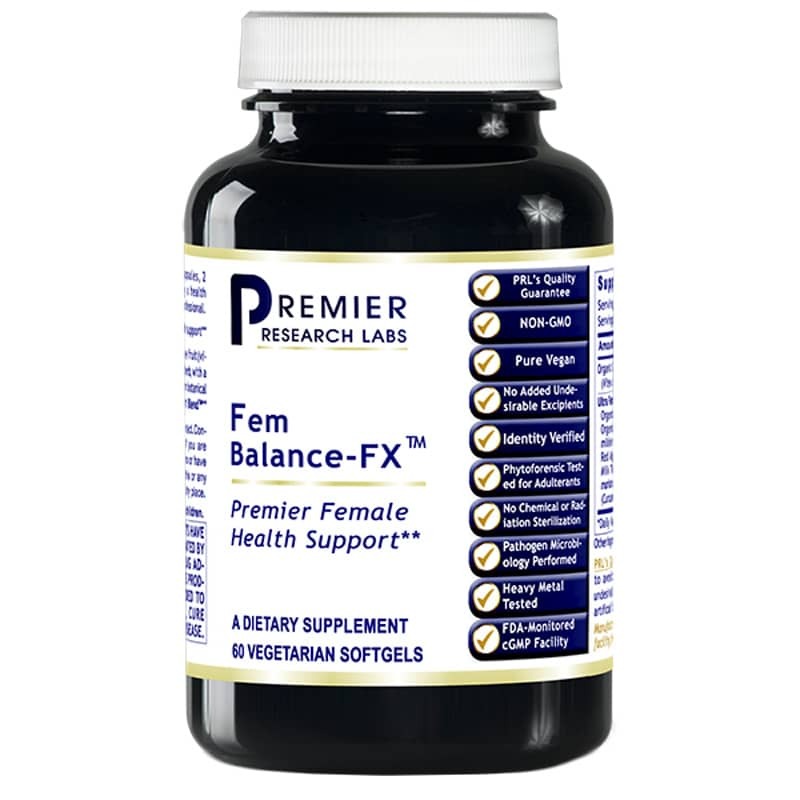 If you're looking for comprehensive female support, Premier Research Labs' Fem Balance-FX may be for you. Order online today! Contains NO: added undesirable excipients, GMOs. Pure Vegan. Adults: Take 2 capsules, 2 times daily or as recommended by a healthcare professional. Been taking for a month and feel a noticeable difference in my moods and hot flashes seem to be a thing of the past. Overall well-being improved.